Some say the Reformation of is over – there’s no need for it anymore. R.C. Sproul begs to differ. I heartily agree with him. Here’s his article on the subject. October 31st is a very important day in the history of the church. No, it’s not Halloween – it’s Reformation Day! But what is Reformation Day? Stephen Nichols has an answer here. This morning I had the privilege of preaching on John 10:1-6. 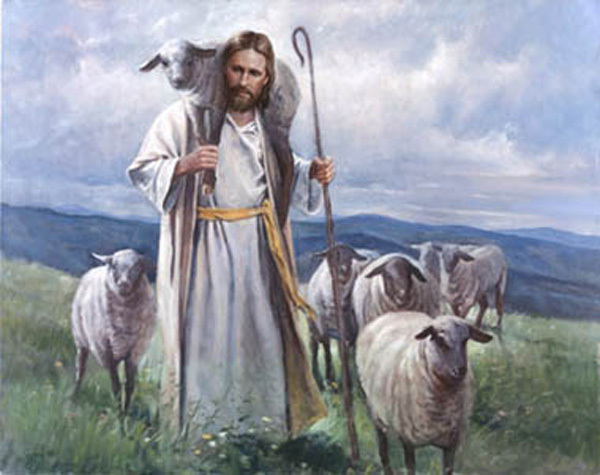 Here is a summary of my sermon in one sentence: Jesus is the True Shepherd we need, instead of the false shepherds who are readily available today. The Hiding Place is the story of how the Ten Boom family of Holland hid Jews from the Nazis during Germany’s occupation of their country in World War II. The Ten Boom’s, being Christians, were rightly convinced that Hitler’s attempts to eradicate Jews was evil and had to be resisted. The Hiding Place is a good story, well-told by Corrie. You feel like you’re right beside Corrie as she goes from Haarlem to Ravensbruck and back again. The fingerprints of God, of course, are all over this story. God’s providence, provision, power, love, and care are prominent. The necessity of faith, trust, obedience, and forgiveness are clear. 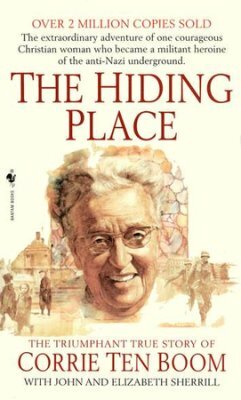 The Hiding Place is a book that should be read by all Christians, especially at this point in American history – we may be called upon to exhibit the same kind of faith and resistance sooner than we think. This is a good book for kids to read, too, by the way. Tolls lege! The following is a quote from J.C. Ryle that didn’t make it into last Sunday’s sermon. It deals with knowledge of Scripture. Knowledge undoubtedly is a very great blessing. The man who cannot read, and is utterly ignorant of Scripture, is in a pitiable condition. He is at the mercy of any false teacher who comes across him, and may be taught to take up any absurd creed, or to follow any vicious practice. Almost any education is better than no education at all. I had the privilege this morning of preaching on John 9:35-41. 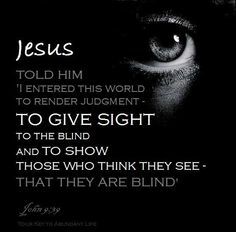 Here is a summary of my sermon in the space of one sentence: The great reversal is that because of Jesus those who recognize their spiritual blindness are made able to see and those who refuse to recognize their spiritual blindness remain blind and in their sins. 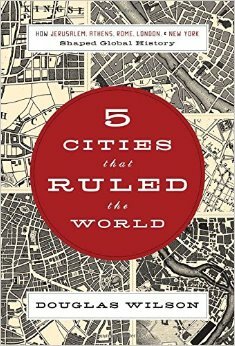 According to Douglas Wilson, there have been five cities that have had exerted immense influence in our world. They are Jerusalem, Athens, Rome, London, and New York. I was surprised to see that Aloha wasn’t on his list (I say with my tongue firmly in cheek). Wilson gives a brief history of each of the cities, then explains the influence they’ve had on the rest of the world in the providence of God. It’s interesting reading and whets my appetite for more extensive histories on each of these cities.